A journey through time to discover the history of the island of Crete, the cradle of a thousand-year old civilization and a treasure chest of historic and natural wonders. From the palace that gave birth to the myth of the Minotaur to the characteristic village of Kritsà, we explore some of the most inspiring sites on the island, before concluding our day beautifully with a walk to Agios Nikolaos and a dive into its clear waters. Leaving Heraklion, we make our way to our first destination: Knossos, the ancient capital of the great kingdom of Minos, which, considering its area, is thought to have been home to 100,000 people. Testament to the ancient Minoan civilization, the original Minoan palace dated to 1900 BC. It was destroyed by an earthquake two hundred years later and reconstructed in much more extravagant fashion in 1700 BC. The final catastrophe struck between 1500 and 1450 BC, when the earthquake caused by the eruption of the Santorini volcano destroyed the royal residence for good. Situated on the top of a hill, from which we enjoy a breathtaking view of the place where the city once stood, the palace is an important testament to a civilization dating back to 3000 BC. Brought to light thanks to excavations by Sir Arthur Evans, the palace is one of Greece's most important archaeological sites. We will visit the throne room, the storerooms, the central court and the imposing stairway, reliving the myth of Minos. It is believed that the palace is linked to the myth of the labyrinth and the Minotaur due to the number of rooms it possessed (probably more than 1000 originally). The tour continues on to Kritsà, a characteristic hilltop village that has kept its traditions alive. Here we visit the rural church of Panagia Kera, which dates back to the 13th century and is famous for its rural paintings - still in excellent condition - including the Last Judgement, which depicts the joys of Paradise and the suffering of souls condemned to Hell. Among the scenes we also recognise Saint Francis of Assisi, unusually depicted among the saints of the Greek Orthodox calendar. 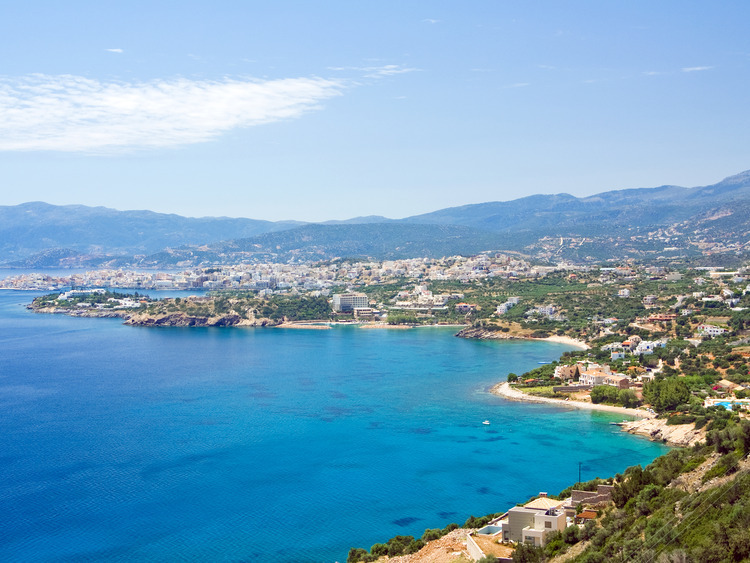 We return to the coach to finish our day beautifully by visiting Agios Nikolaos, a wonderful coastal tourist town that will delight us with its seafront, fascinating craft shops and typical open-air bars, where we can enjoy a coffee and some relaxation time. Before returning to the port, we can tickle our palates in one of the typical taverns or enjoy the sun and the sea on the nearby beach, the perfect end to a day spent amongst the wonders of an island that is ours to discover. Places on this excursion are limited.So please reserve early. We suggest wearing comfortable shoes and clothing. This excursion is reserved for guests who are not leaving the ship at Heraklion.